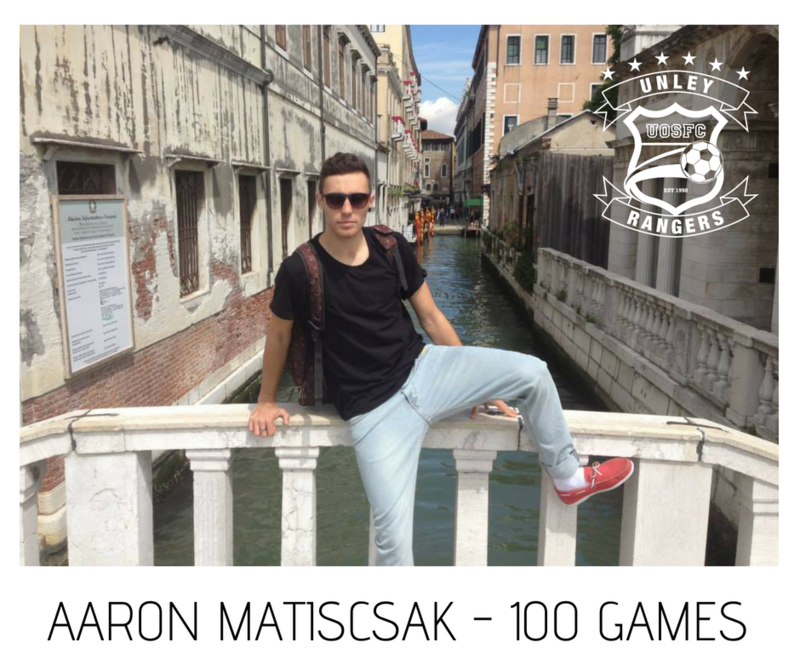 Congratulations to our Hungerian beast – Aaron Matiscsak who plays his 100th game this weekend! I could write the word handsome a thousand times and some people may still not understand the level of physical beauty this man has achieved. From a young age Aaron was being photographed, from magazine modelling shoots all the way to skincare & beauty pamphlets. All jokes aside, from my own personal experience playing alongside this bloke and the many other people that have had the pleasure of doing so as well, i’m sure we can all agree that he’s right at the top of the class in almost every aspect there is to know. On the football field he always plays with heart, for his teammates, for himself and for the club as a whole – the sort of guy that every bloke wants to have on their team. His attacking prowess is sometimes underrated, his defensive duties often overflowing, though he manages to handle both ends of the spectrum with great maturity and composure – the signs of a fantastic footballer. Beyond the football field, there aren’t many blokes at the club that I would genuinely consider dating but Aaron would have to be one of the few. Sporting a sensational sense of humour alongside a generally charming persona, if one were to tell me they didn’t like Aaron I’d tell them to go get a mental health check or even organize one for them myself. ‘Aaron was recruited to Unley Rangers in 2010 by Gary Powers, who in a very drunken post cup winning ramble outside of Supermild proclaimed “my getting Aaron to come to the Rangers was one of the greatest things that has ever happened to this club“, this statement was induced by copious amounts of brown lemonades and the fact that Aaron had scored the sealer in the cup final earlier that day. Perhaps Gary was on to something in that moment of self indulgence because Aaron has gone on to play 100 games for the club, with the vast majority of them being for the 1st team, scoring some absolute thumpers with those daddy long legs of his along the way. It hasn’t all been peaches and Hungarian Goulash though, he has endured plenty of injuries including a bad knee which required surgery. – Played in every game in Luke Hilton’s cup winning third team. – Went from the scrawniest fella to the biggest unit on the park in the matter of a year. – Looks tan all winter season so he is easy to spot thanks to his Hungarian skin. While those of us who have been around for a while know Aaron to be a potent attacking force, able to nab a goal from anywhere on the field (including a memorable effort in that famous cup final), lately he’s been reinvented as a box-to-box midfielder, number 6, and even a stand-in centre-half. I can’t recall ever hearing Aaron complain about what team, position or minute of the game he is selected to play in, and there are few blokes at the club today I’d rather have in my team than Aaron. He leads by example, plays for the badge and for his teammates, and loves to win. Get behind him and the mighty Rangers this weekend! Go well and have a great game! Yeah well done Matiscsak aka. Megasack aka. Mingeycrack aka. Moistyrack aka. Meatyrack.